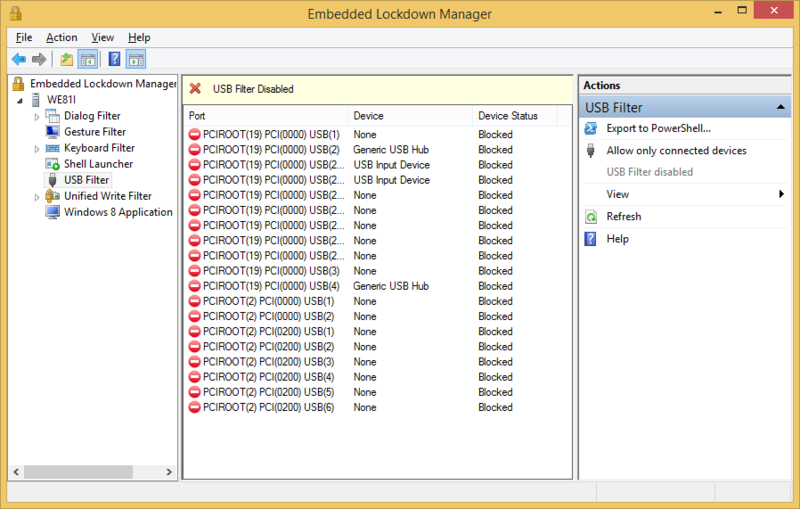 Microsoft has just updated the Embedded Lockdown Manager in Windows Embedded 8.1 Industry. 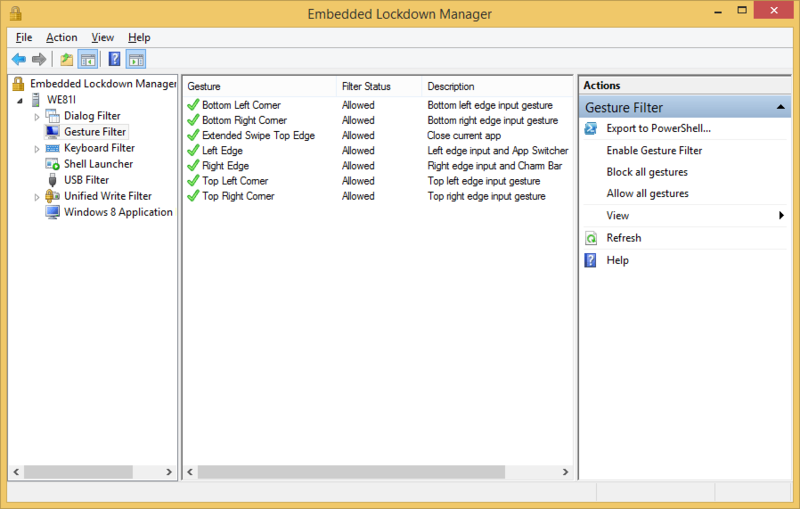 The new update enables the configuration of the USB Filter, App Launcher and Gesture Filter through the Management Console Snap-In UI. This makes the configuration much simpler than before. 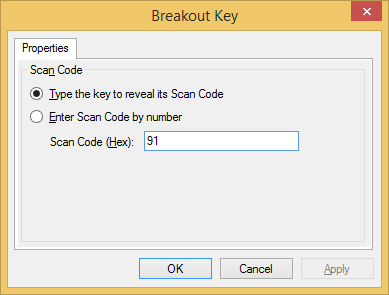 The Breakout Key of the Keyboard Filter can now be configured as well through the UI. 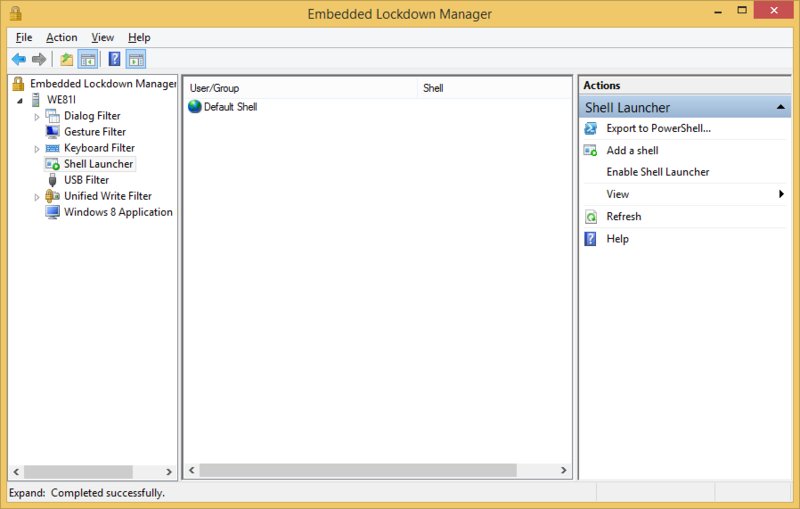 Also Shell Launcher can be enabled through a simple click in the Management UI. 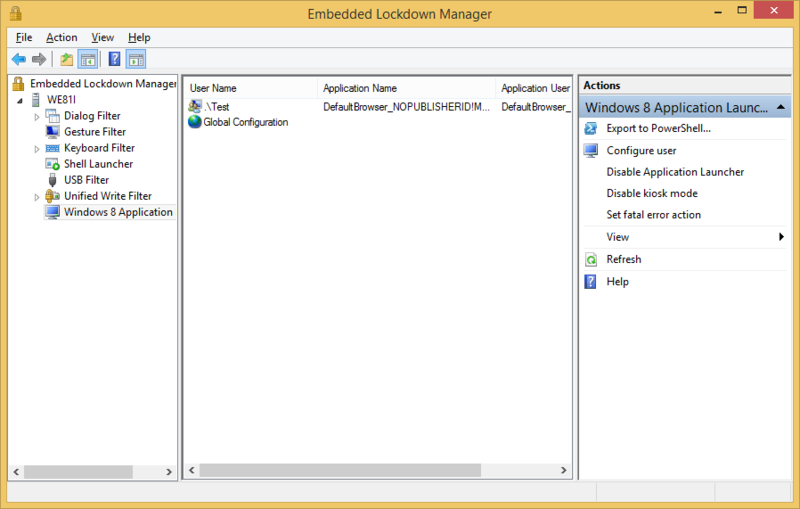 Please note that you must install KB 2932074 first to be able to configure App Launcher through the Embedded Lockdown Manager. 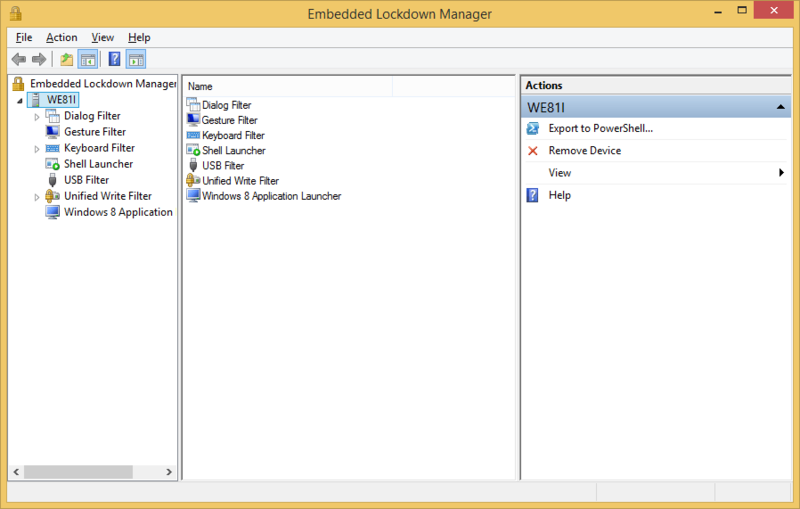 The update is also available for other versions as Windows to allow the remote management of the new features.